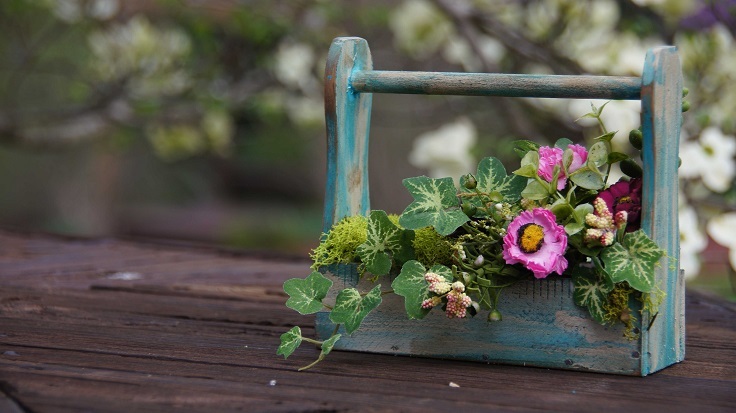 From rustic and vintage, to the good old decorative tricks with tires and tin cans, these DIY planters can give an instant change to your garden. The planters look as if they’re gotten out of a fairy tale and went straight to your garden, and the best part of it is that you can have all of these planters in your backyard – you just need few tools, some time and maybe a friend to help over. The result will be fascinating! Think twice before you throw away those food tin cans. As you can see, with a little effort they turn out to be such nice planters! 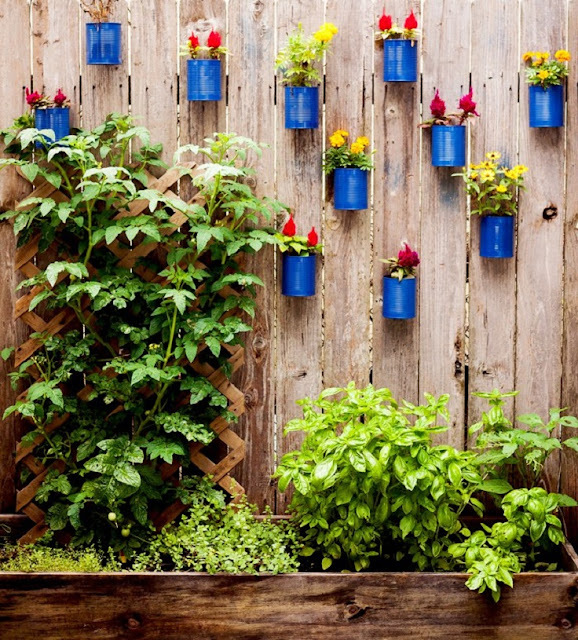 To transform the cans into planters, start out by making small holes in the bottom of the can for future drainage. Buy spray or paint in any color you like (blue is beautiful!) and leave the paint to dry. After that, with the help of a screw, attach the cans to the fence and play a bit – you want them to be symmetrically places or a little bit messy? Choose how you want to position them and afterwards plant your flowers inside. The internet is offering so many creative uses of old tires and this one is surely one that can make your garden as a small piece of heaven. Wash the old tire and leave it to dry. Spray it with the desired color (again, even this shade of blue is beautiful). Next thing is drilling few holes with 1/2 inch drill bit for drainage. Line the bottom of pieces of fabric weed barrier and a few styrofoam packing peanuts. 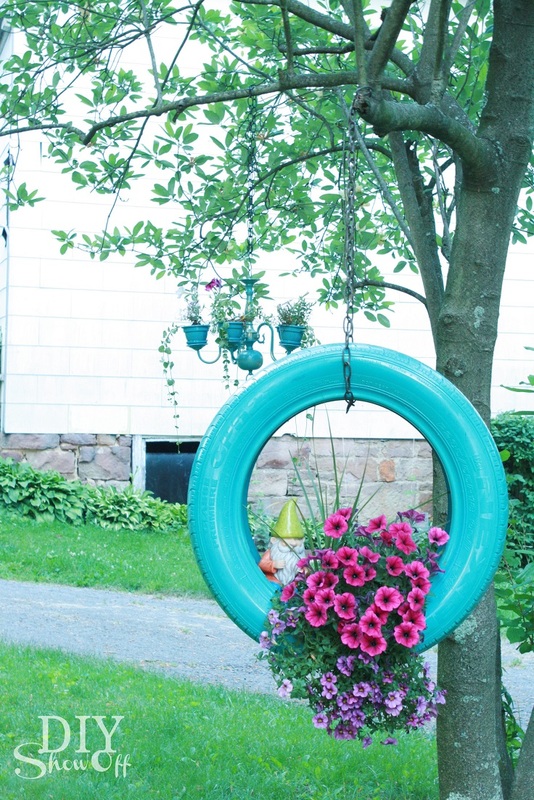 Plant the flowers and place the tire where you want the tire to be, but if you want to hang it, use chain to do so and secure it well to avoid falling off. 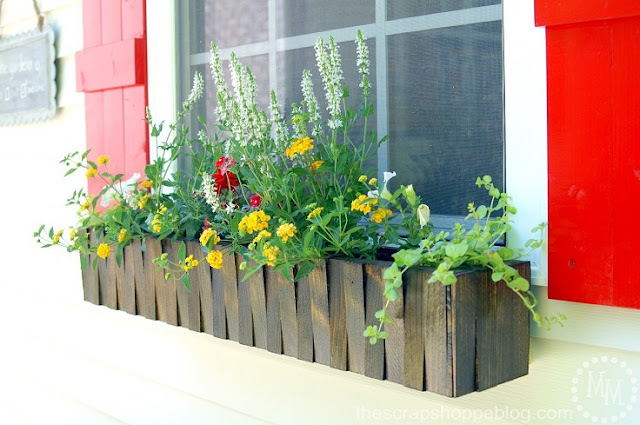 It’s really charming when you have a large, wooden planter under your window. It will give an instant boost to your house. To make this one, first buy a wooden box and construct it according to the given instructions. Paint it and when it’s dry, fill it with soil and beautiful flowers. The outcome will be amazing and this picture proves it. To make this lovely little toolbox you need 1 yard stick, 2 paint sticks with decorative handles, 1/4 or 1/2 inch dowel rod cut to size, mini nail brads, hammer, paint, chop and miter saw. This project leaves you with many options. If you want it to look more rustic, you don’t have to paint it and the other way round – if you want it to look more bold you can paint it. It doesn’t necessarily have to be a planter at all! You can paint it or embellish it and then use it as something else. But, we totally recommend the planter. Who said that chairs only serve us for sitting? Look what a good planter they can be! 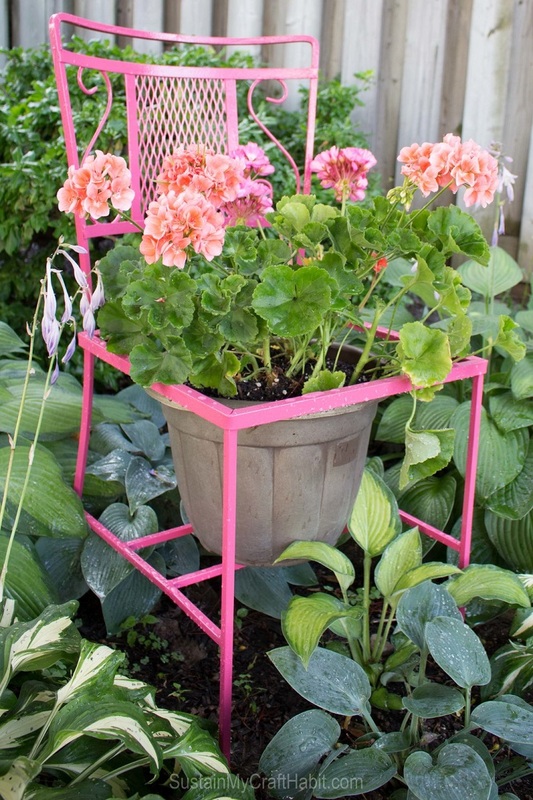 Using an old chair as your planter isn’t just good for the aesthetics, but it’s good for the reuse of useless materials and products. Besides the chair, for this DIY project you need paint in any color that you want, small bristle or foam brush, small paint roller and tray. Start by cleaning out the chair and when it’s dry, paint it until it’s all covered. Use the small bristle paint brush to cover the corners and again, leave it to dry. After that, place a suitable pot for the chair and plant some beautiful flowers inside!